1. Apply a base coat like JINsoon Power Coat. 2. Apply two coats of JINsoon Coquette. 3. Using JINsoon Demure, draw curving lines with a thin brush throughout the nail. 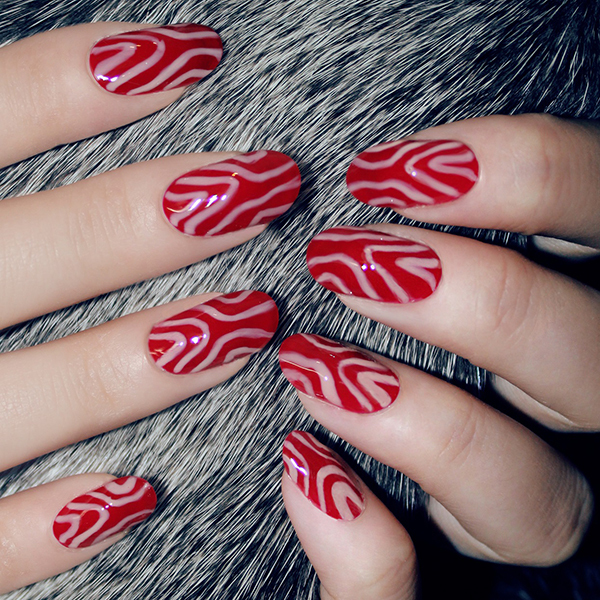 This look is easy to do, looks great and allows you to use your imagination to create different types of lines. 4. Apply a high-gloss top coat like JINsoon Top Gloss to finish the look and give it extra shine. 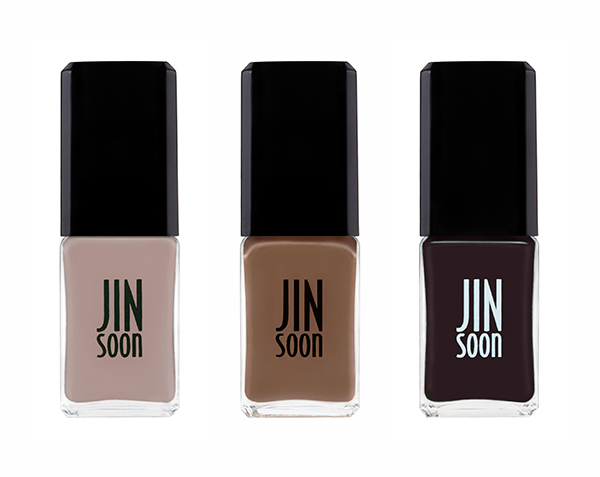 The two limited-edition JINsoon polish sets, Classics 1 (three nudes) and Classics 2 (three reds), are available on goop.com for $48 each.